Bretford has been designing and manufacturing innovative products for the school market for nearly 70 years. Today Bretford is known for store & charge laptop and tablet carts, and audio visual and transport solutions for educational and commercial use. As the very first to introduce the mobile computer cart, Bretford was also the first to launch an intelligent power-managing cart that conserves laptop battery life. This is huge time and cost saver for schools and libraries across the United States. Breford has dedicated themselves to manufacturing solutions that support the latest advances in mobile device technology and providing those solutions to schools and offices looking to keep technology at their helm. Bretford offers an industry-leading warranty and dedication to designing safe products. Most Bretford products meet stringent UL certification and feature superior workmanship and environmentally-compliant manufacturing practices. 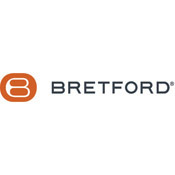 Bretford continues to rework, reimagine and build products with long-lasting and forward-thinking design to support today’s mobile needs and technology’s inevitable next wave. Schools should consider Bretford carts and tech storage solutions to stay agile in an ever changing tech-driven environment.